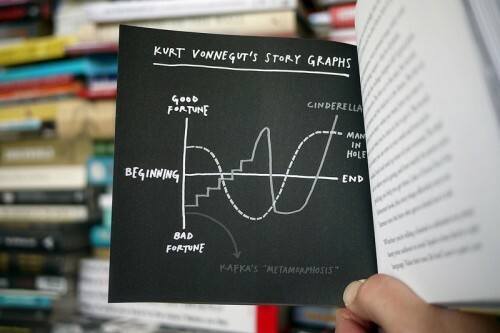 Effective stories, Kleon says, rely on structures of different sorts that can be used repeatedly. Over time, prosperous authors have set a framework succeeding writers can utilize when composing, but it is up to them to be cognizant of those structures. Hey Gavin! This is a great analysis of Kleon's writing. I really like the connection to your own work too! that is a great piece you wrote! You have a lot of talent, keep it up! Hey Gavin - Wow, that's awesome that you write for Orange: the Experience! I totally remember reading that story about Kalon Davis in the magazine this summer. It was fascinating (and those contact lenses he wears really do the trick...they're so creepy!). That's great that you've figured out a way to start building your resume while you're in college in a field you're interested in. I think resumes are another interesting example of how we "show our work." Sometimes, at least for me, it is daunting to think about trying to explain myself, all my experiences and knowledge, on one sheet of paper. But, if we can manage to describe our work and experiences in a compelling way, we just might capture the attention of an employer. Great post - thanks for sharing!